4 Have You Wondered How Rich Sean Hannity is? Born Sean Patrick Hannity on the 30th December 1961 in Centre Island, New York USA, he is a TV host, political commentator and author, best known to the world for his extensive work with Fox News Channel, on which he has hosted his own show – “Hannity” – since 2009. The son of Lillian and Hugh Hannity, his father was a family court officer, while his mother served as a stenographer and a corrections officer at a county jail. Sean and his four older siblings are of part-Irish ancestry. He went to St. Pius X Preparatory Seminary high school, located in Uniondale, New York, then enrolled at New York University and also Adelphi University, but never graduated. His first job post was at the University of California, Santa Barbara college radio station, KCSB-FM, as a volunteer. His show aired for 40 hours a week, and when asked about it he said he was terrible. The show was canceled in less than a year, after Sean madeg several controversial comments, including to a lesbian caller, “I feel Sorry for your child”. Sean then joined WVNN in Athens, Alabama and later WGST in Atlanta, and several years later he was hired by Roger Ailes, Fox News co-founder, to serve as the host of the show “Hannity and LTBD” (liberal to be determined). Soon after, Alan Colmes became his partner on the show, and the creation received a new title, “Hannity & Colmes”. From 2001 until 2008, Sean and Alan hosted their show, in the form of a point-counterpoint program, with Sean giving his conservative point of view, while Colmes was the liberal one, until Colmes left the show and Sean became the sole host of the new show entitled “Hannity”. Sean has since hosted his own show which deals with current affairs and gives political commentary. So far, the show has more than 2,100 episodes, with Hannity becoming extremely popular. His controversial commentaries are his hallmark – he questioned Barack Obama’s birthplace, voiced theories of conspiracy about the murder of Seth Rich, and contributed to ‘fake news’ stories about Hillary Clinton’s health. 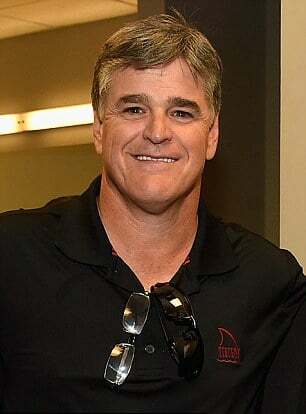 Aside from his success on television, Sean has also been a successful radio personality; “The Sean Hannity Show” first aired on the 10 September 2001, and is now heard daily through more than 500 stations. Signed to ABC Radio, which was sold to Citadel Communication, Sean signed a $100 million contract over five years in 2008, and now also has contracts with such radio stations as WDTK Detroit, WWRC Washington D.C., KSKY Dallas, and WIND Chicago. Sean has published three books so far; “Let Freedom Ring: Winning the War of Liberty over Liberalism” was published in 2002, then “Deliver Us From Evil” two years later, both by ReganBooks, and his third book “Conservative Victory: Defeating Obama’s Radical Agenda” was published in 2010 through HarperCollins, all entering “The New York Times” bestsellers list. Have You Wondered How Rich Sean Hannity is? Since leaving college, Sean has been focused on his career, which has provided him with a decent amount of accumulated wealth. So let’s just see how rich Sean Hannity is. Sean’s net worth is estimated at over $80 million, while according to authoritative sources, it has been estimated that Sean’s income for 2017 year was as high as $36 million. Pretty neat for a political commentator and TV host, don’t you think? Since entering the broadcasting scene, Sean has become one of the more controversial personalities. Aside from those already mentioned, he supported Donald Trump quite openly during his 2016 presidential election campaign, and made several negative comments towards Hilary Clinton, including involvement in setting in motion a rumor that Hilary Clinton and the Democratic Party had party staffer Seth Rich killed. Despite critiques, Sean has received a number of prestigious awards and honors, including a Marconi Award in 2003 and 2007 as the Network Syndicated Personality of the Year from the National Association of Broadcasters, while in 2009 he entered the Talkers Magazine list at No. 2 of the 100 most important talk show hosts in America. Most recently, Sean was inducted into the National Radio Hall of Fame. 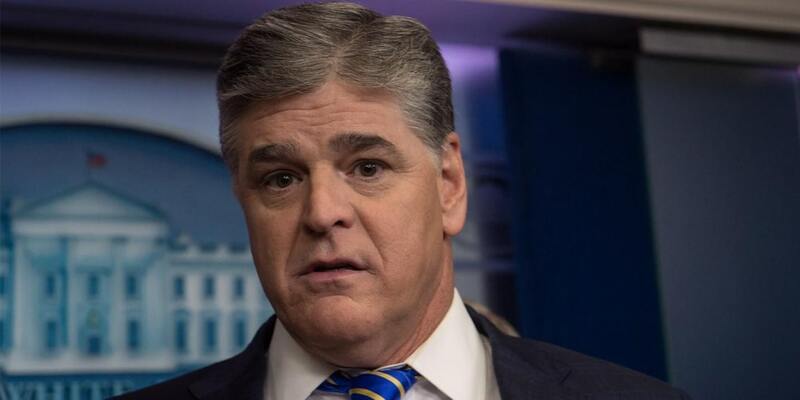 When it comes to his personal life, Sean has been married to Jill Rhodes since 1993; the couple has two children together, and the Hannity family resides on Long Island, New York. Sean is also a humanitarian, including holding an annual country music-themed “Freedom Concerts” to raise money for charity. Sean, being a highly influential personality has managed to reach out to a number of people not just through television and radio, but also through social media. His official Twitter account has more than 3.5 million followers and has used his influence to promote his work. An open Trump supporter he most recently tweeted about Trump’s actions against Syria, which went viral in no time. He also shared other important events from his field, including Sarah Huckabee’s speech about James Comey. Furthermore, Sean’s official Facebook page has more than 3.2 million likes. So, if you are not already a fan of one of the most controversial political commentators of the present, then this is a great opportunity for you.